Vladimir is a mage champion in League of Legends that can play both mid and top lanes. 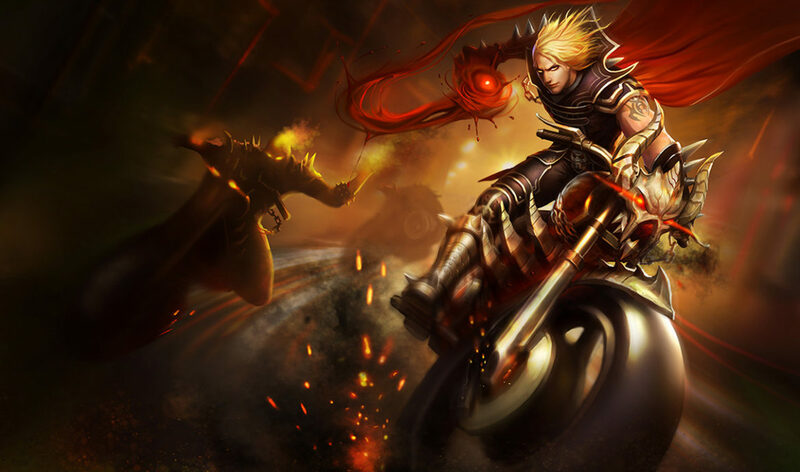 In this article, we go through how to effectively counter Vladimir on Summoner’s Rift. Now that you know who counters Vladimir, you can finally counter pick Vladimir in any matchup. Let’s take you through some tips on how to use a few of these champions who are counters to Vladimir. After, there is a general section explaining how to use any LoL champion as counters for Vladimir. After all, if you know how to play against Vladimir, you can play safely and effectively to defeat Vladimir in a lane. Ignite, Swain’s Q and E all continue to damage Vladimir while he is in his crimson pool. Post-6 you should play extremely aggressively as you will massively out damage Vladimir and out sustain him but your mana bar can only hold up for so long. However, letting him sustain freely can make the lane difficult for you. Vladimir is weak in the early game and you have an advantage over him. You have your Q to dash to him and stun/slow him with your E, and that alone will deal tons of damage. Try to save your E for your stun, not slow, unless your jungler comes to gank. Remember to activate Irelia’s (W) and (Q) onto a caster minion, if you have Sheen this will instantly kill the minion granting you no CD on (Q). That way you can walk up to Vladimir and have a chance to land an (E) on him by surprise. Vladimir’s ultimate can be cured by buying a Quicksilver Sash. Saving an Ignite against a Vladimir will significantly hinder his ability to sustain himself in a fight. Do not clump against a Vladimir, so that he won’t be able to hit multiple people with his ultimate. Vladimir’s early game is very weak. Try to pick a champion who can put a lot of pressure on him. Deny Vladimir’s farm at all costs. If possible, try to delay his purchase of a Hextech Revolver. Do all this because Vladimir’s late game is amazing. Sanguine Pool has a long cooldown and is Vladimir’s only escape ability. It is after the ability is used that he is most vulnerable. If he uses his Q to last hit a minion or heal then that’s a good time to go in on him. Early game it’s a very long cooldown so he’ll have very few ways to fight back. Short trades against Vladimir are not very effective as he can heal much of his health back from an enemy champion during and after the engagement. All-in or extended trades are much more cost-effect. Before you go in to fight Vladimir make sure he doesn’t have his “E” passive stacks up to 4 this gives him extremely strong trading potential. Grievous Wounds help a lot against Vladimir, reducing its healing. An Executioner’s Calling rush can be Vladimir’s bane against AD champions, since it prevents him from trading with them effectively, and force him to be zoned. Morellonomicon is a core item on many AP champion’s builds anyway, but watch out as Vladimir’s innate survivability makes him more difficult to bring under 35% HP compared to other carry champions. Bramble Vest and Thornmail, however, are rather useless against Vladimir. Even though they have Grievous Wounds, it requires the enemy to use basic attacks on them. Vladimir will never need to basic attack because his damage is 100% focused on his spells. Those items offer armor, which does nothing to reduce Vlad’s magic damage. It also inflicts Grievous Wounds for very little time, insufficient to reduce his sustain significantly. Some champion abilities can reduce health regeneration such as Death Lotus. Early game, stay just out of range of his Transfusion. If he uses it on a minion run forward to harass before his Transfusion cools down. Vladimir is one of the most powerful champions at late game, as he becomes virtually unkillable, with overwhelming damage and can wreck past an AP mage’s normal counters, fighters, if he is able to reach this point defeating him proves extremely difficult. Focusing Vladimir in a team fight is not a very good idea – he is very tanky due to his passive, he can restore his health quickly and lose all focus with Sanguine Pool. Trying to kill him takes a long time if he is properly positioned and can distract your team from other key enemy targets such as the ADC and assassins. 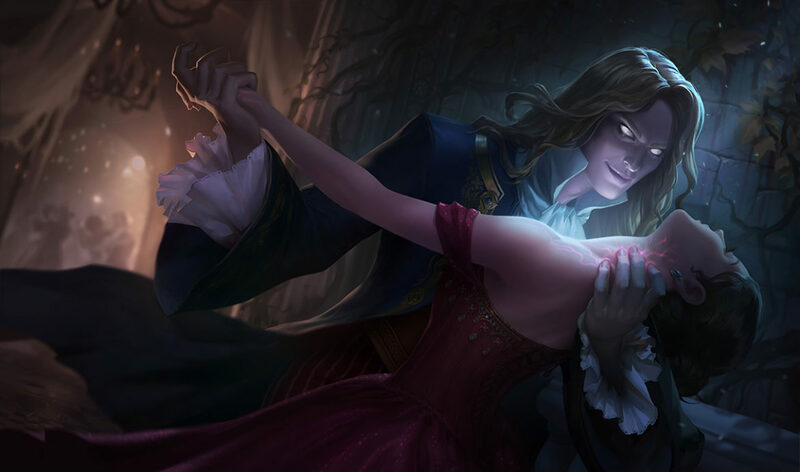 If you fail to kill Vladimir late game and he escapes he will be able to fully restore his health with minions and jungle monsters without going to back to base. Do not underestimate Tides of Blood late game. Average late game Vladimir can dish out from 450 – 540 damage, pre-mitigation, from Tides of Blood to all surrounding enemies. With some cooldown reduction, he can spam this spell continuously and easily wreak havoc if left unchecked. Try to harass Vladimir into using his Sanguine Pool early in a fight so he takes more damage from it and cannot use it to escape focus fire. Vladimir will use 20% of his current health whenever he uses Sanguine Pool, so if you force him to use it, you’ve effectively won the trade. Even if Vladimir uses Sanguine Pool he still takes damage from DoT spells such as Ignite, Blaze, Malefic Visions, Noxious Trap and Crest of Cinders. Remember that Transfusion doesn’t heal Vlad until the particle returns to him, and because the animation is two-staged (impalement, then return), most single-target projectiles like Two-Shiv Poison, Vorpal Blade, and Null Sphere will generally hit him before he’s healed. This is useful to remember should you be uncertain about last-hitting him. 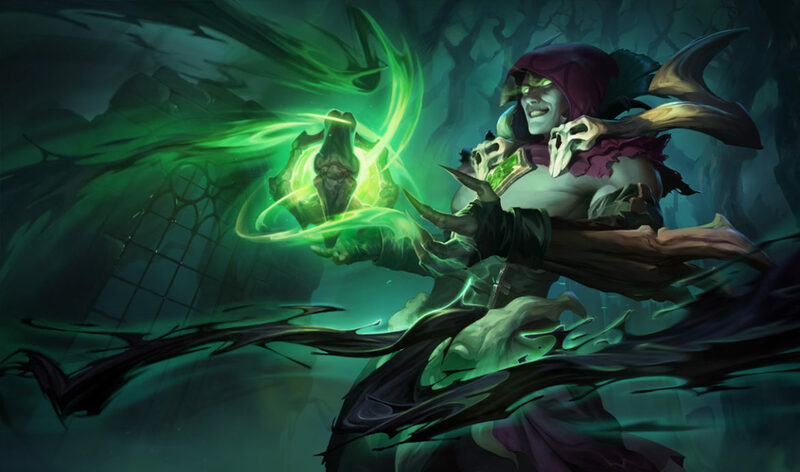 By using the champions who counter Vladimir and the LoL Vladimir counter tips above, you can now develop a strategy to help you, as a summoner, become an effective counter to Vladimir players.